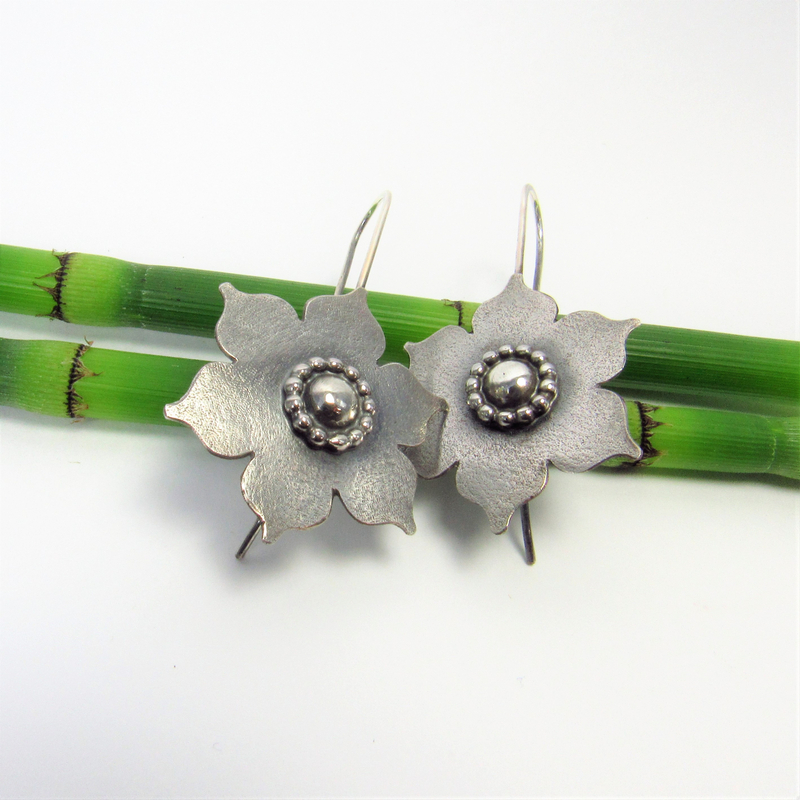 The magical lotus comes to life in these large argentium sterling silver lotus earrings. From the sand texture finish to the adornments of beaded wire and the center orb of silver these are earrings that you wear for anytime you wish to feel special. Their dramatic beauty makes a subtle statement and they will add the finishing touch to a pair of faded jeans or knockout evening attire. 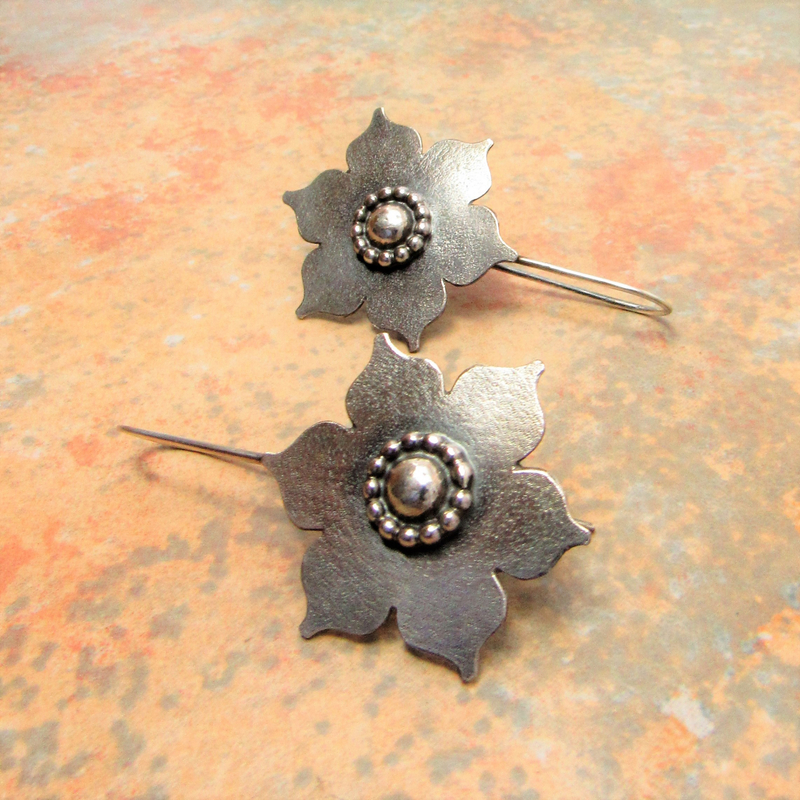 They have a bohemian lushness that you will find hard to resist and they look wonderful paired with a simple necklace or other minimal jewelry letting them take center stage. 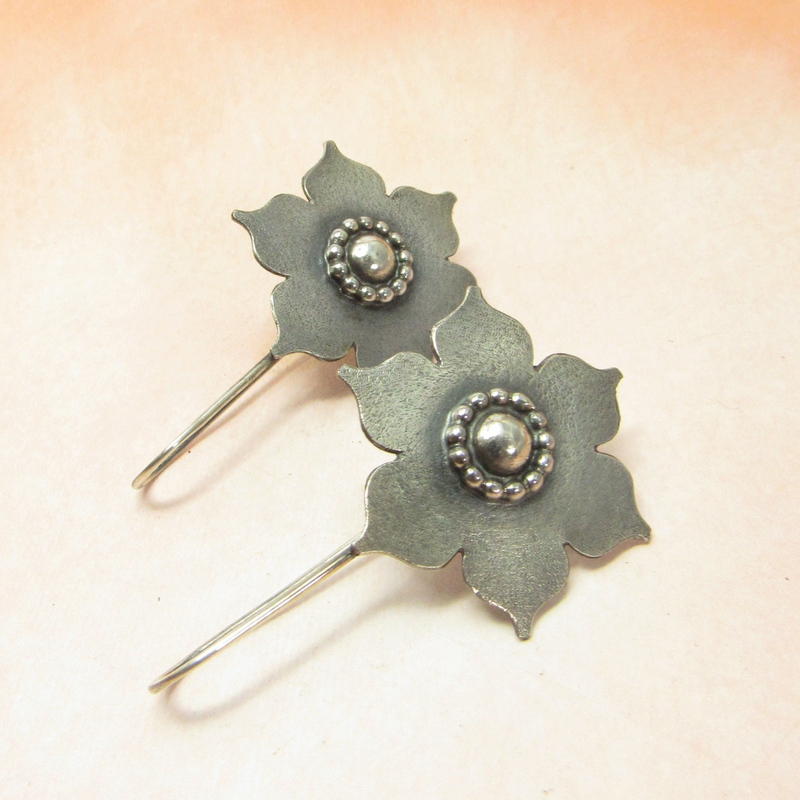 Crafted from a superior sterling silver, argentium, they have a beautiful oxidized finish which has been polished back to reveal texture and contrast. 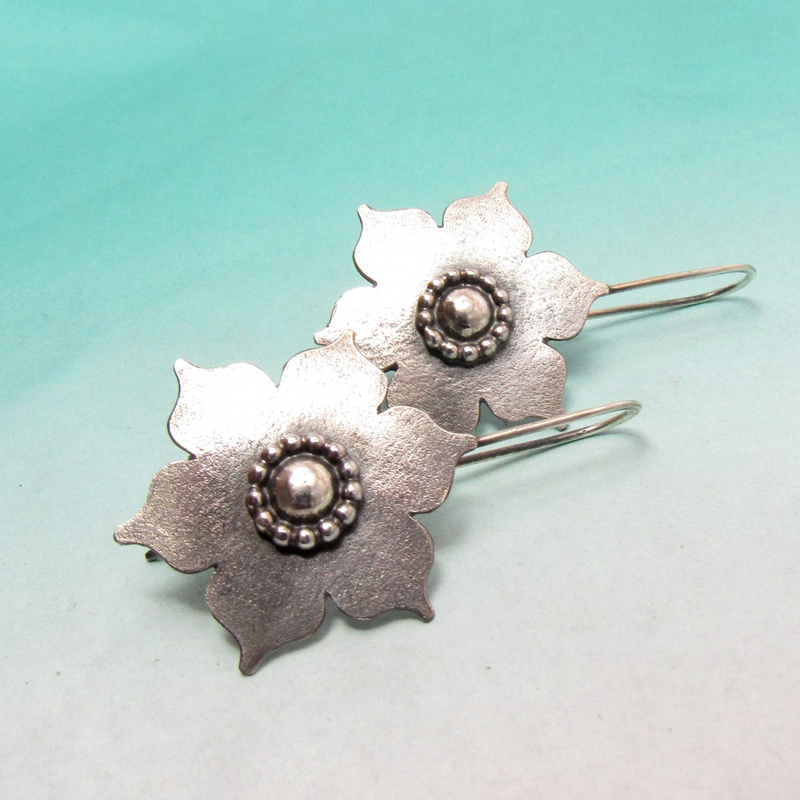 Sterling silver flower jewelry will never wilt or fade and makes a lovely gift for a special someone. 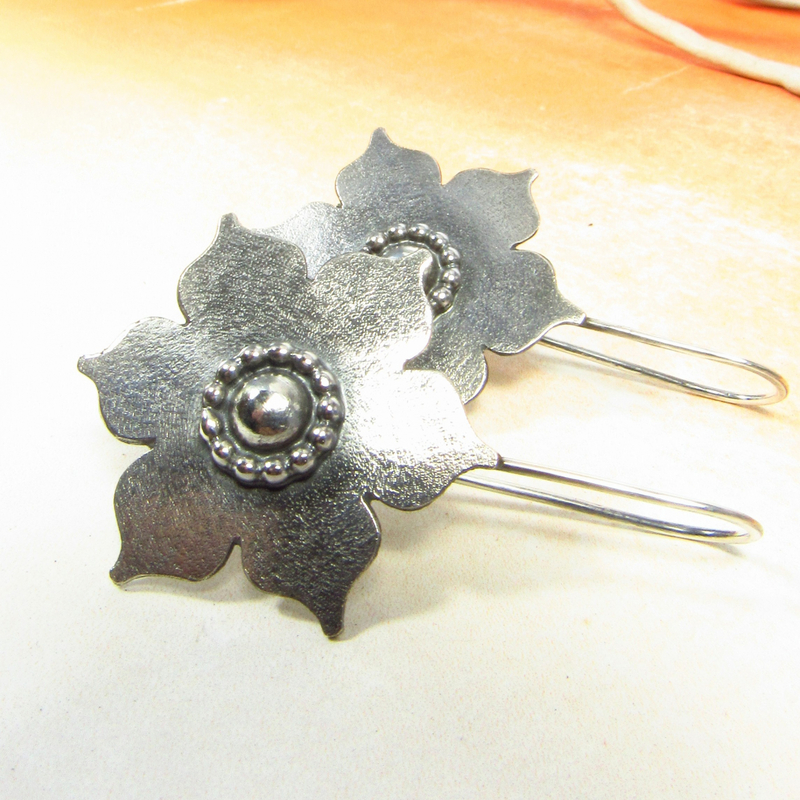 Lotus flowers measure 2" or 5.08cm tall and 1 &1/8"or 2.85cm wide. 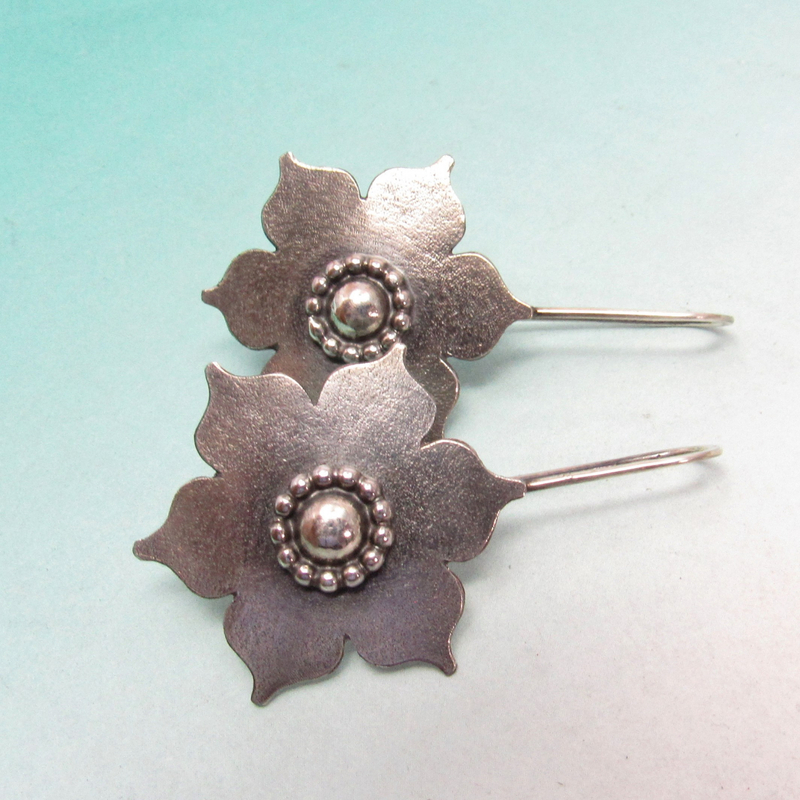 A comfortable weight at just over 5 grams per earring.